Stallion Season Auctions -- Bargains for Thoroughbred Breeders? If you're on any of the Thoroughbred readers forums or state breeding association mailing lists, this is the time of year when you're probably receiving multiple notifications of stallion season auctions. Many of these sales of sire seasons are charitable -- the proceeds benefit a state breeders organization or a horse rescue fund or some other worthy cause. And often the final prices paid for a stud booking are considerably below the stallion's published fee. For cost-conscious breeders -- these days, that percentage has got to be getting higher! -- that can often mean saving a little cash, or even upgrading to a stallion that would otherwise be out of your price range. If you do look into booking a stallion through this means, pay careful attention to the sale conditions. Some seasons are offered with a standard "live foal guarantee," while others are non-guaranteed seasons. Certain farms might limit bookings to approved mares -- that might mean they have to qualify for a state breeders' incentive fund, or they must be winning (or even black type-winning) mares. (Most auctions have the condition that the season must be used for a Thoroughbred mare -- meaning no Quarter Horse or non-Thoroughbred sport horse mare breedings would be accepted.) Many of these auctions require payment in full within a set time period, often a week or 30 days -- which should be factored in to your expenses, since most farms generally offer September 1st or "stands and nurses" contracts. I'm going to keep my remarks brief, as I have little personal experience with such auctions beyond observing their rise in popularity over the years. Instead, I hope that this weekend several of you who've taken part in season auctions will offer comments and advice. Did you find a great deal on a stud fee? Are you a farm owner who was able to increase your stallions' bookings by offering seasons at a sale? What are your favorite sales, and what (if any) charity or organization do the proceeds support? 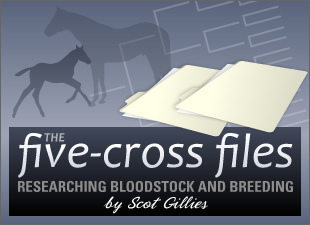 Did you produce (or do you know of) a high-class runner that was bred on a season purchased at auction?